Travelling for business is a tricky thing. Apart from having to recover from a long flight, which can be arduous, even in business class, you also have to adjust to a different time zone and be at the top of your game at work. There is a fine distinction between a leisure hotel and a business hotel, and few manage to be both. 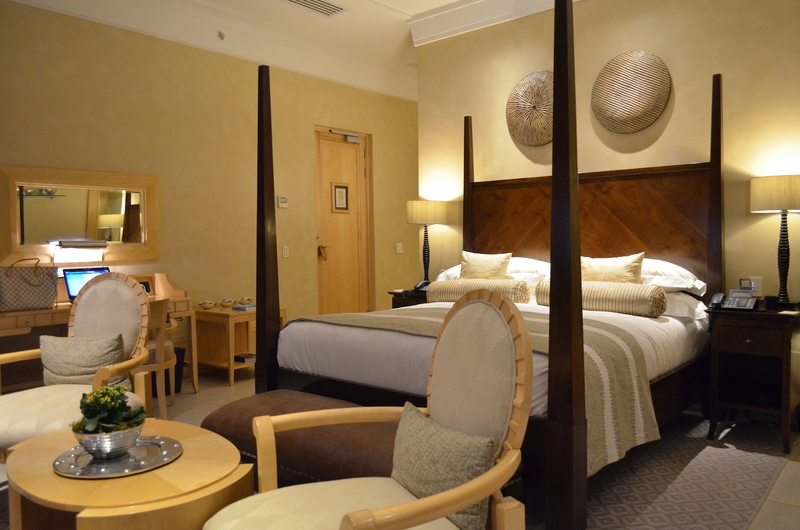 These four top Johannesburg hotels focus on business travellers, and cater to their every need. Whenever a celebrity is in town, you can almost guarantee that they’ll be staying at the Saxon. Nelson Mandela famously wrote his autobiography, Long Walk to Freedom, here, and everyone from Oprah Winfrey to Justin Bieber has called this Sandhurst gem home. The five-star service starts from when guests park their cars — a Mercedes Benz pulls up to transport people to the reception area, 100 metres away. The lobby’s main feature is an exquisite sweeping staircase, and staff who know your name. 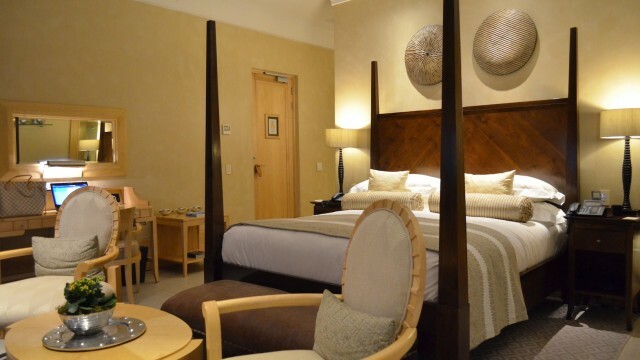 Rooms have an African flair, and are appointed with a loaner laptop, complimentary minibar with snacks, lounge and dining area, while suites have a dedicated butler service and private decks. Make sure to book well in advance if you want to dine at the hotel’s signature restaurant, Five Hundred. Ingredients are sourced directly from the Saxon’s vegetable garden, and the restaurant is a gastronomic feast, with a smorgasbord of delights being presented to you throughout the six-course menu. While Joburg is great in many ways, one thing it still has to improve on is public transport. Taxis are ridiculously expensive, and if the city is new to you, its five-lane highways may make hiring a car a tad daunting. The Gautrain is a rapid train system which provides direct access from OR Tambo International Airport to the business districts of Rosebank and Sandton. If visitors choose to stay at the Hyatt, their journey would end at the station, as the hotel is situated right next to it. Another location based aspect that makes the Hyatt a great choice, is the fact that it’s part of the Rosebank Mall, one of Johannesburg’s trendiest and largest malls, with two movie theatres and a number of good restaurants, so visitors needn’t resort to room service every night. The hotel has two boardrooms and six meeting rooms on site, so there’s no need to contend with Johannesburg traffic. Ask for a room on a higher floor so you can enjoy a bird’s eye view of the city.